This musician and humanitarian defies physics and genre in her blockbuster second act. Jihae never planned on acting. But after her fourth album, she needed a break. “I felt kind of burnt out,” she says. 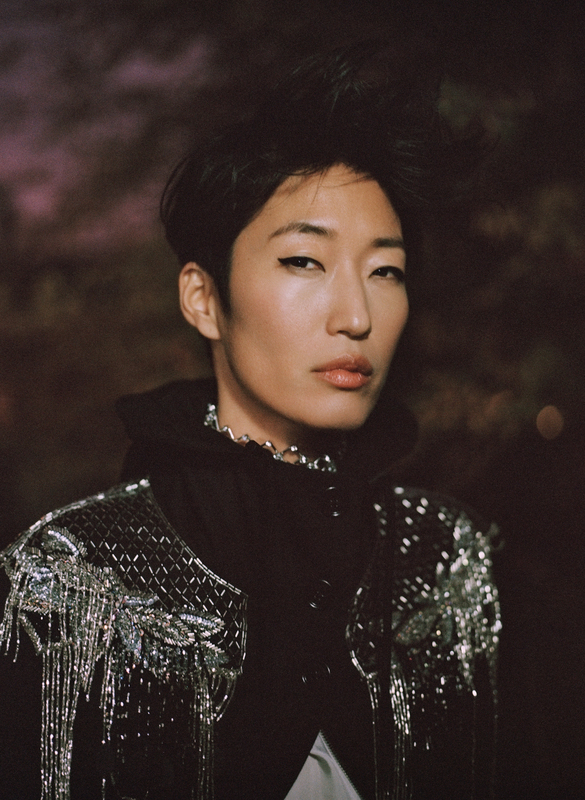 “Being the one-woman label that I am takes a toll on you; you have to do everything.” Born in South Korea to a diplomat father and opera-trained mother, the singer- songwriter has done just about every- thing since kicking off her music career in 2007, from cocreating a rock opera with Moonstruck scribe John Patrick Shanley to the 2015 track “It Just Feels,” cowritten by Leonard Cohen. But after an industry pal’s offhanded email suggested she audition for Ron Howard’s 2016 National Geographic miniseries Mars, Jihae soon found her- self in Budapest, filming her first leading role—or more accurately, first two; she plays identical astronaut sisters. “It was a shock, because I didn’t have any experience,” says Jihae, who graduated from Emory with a political science degree. Fang, a spy and resistance leader, shares Jihae’s passion for human rights. “We live in a world where over 160 million people are displaced because of climate change or war, and they have no rights and no protection, and not enough countries or people around the world are helping them,” says Jihae, who works as an ambassador for the International Medical Corps, a group of first-response doctors and nurses. Jihae’s 2019 is off to a busy start; her next acting gig started in February, and she’s considering a run on London’s West End. She’s also returned to music, currently at work on her fifth album. Because real-life superheroes can’t take breaks for too long.